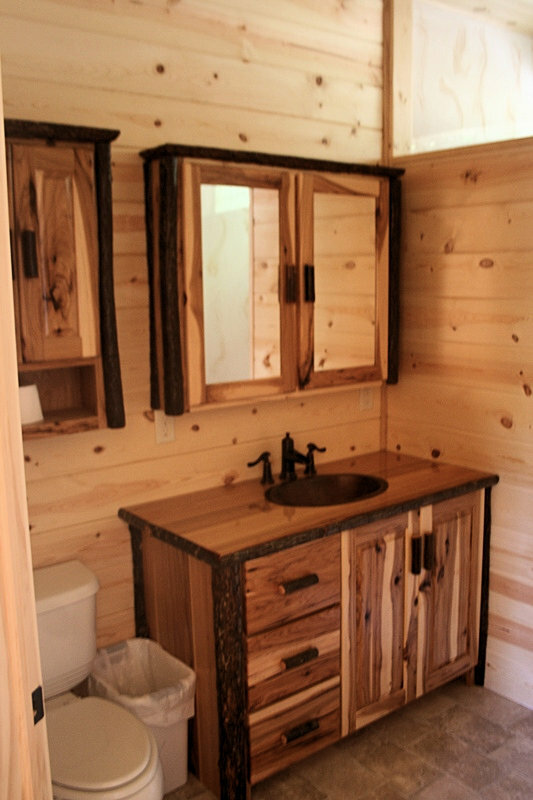 made from rustic knotty hickory dimensional lumber and bark on hickory logs. The listed price starts at a 24 inch vanity base without a top. 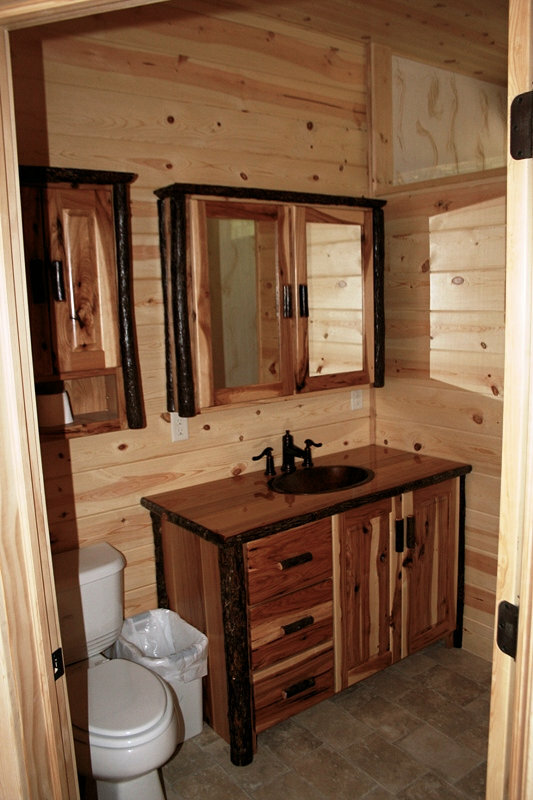 Please contact us for larger sizes with the option of a top and drawers by filling out our Vanity Quote Request Form. 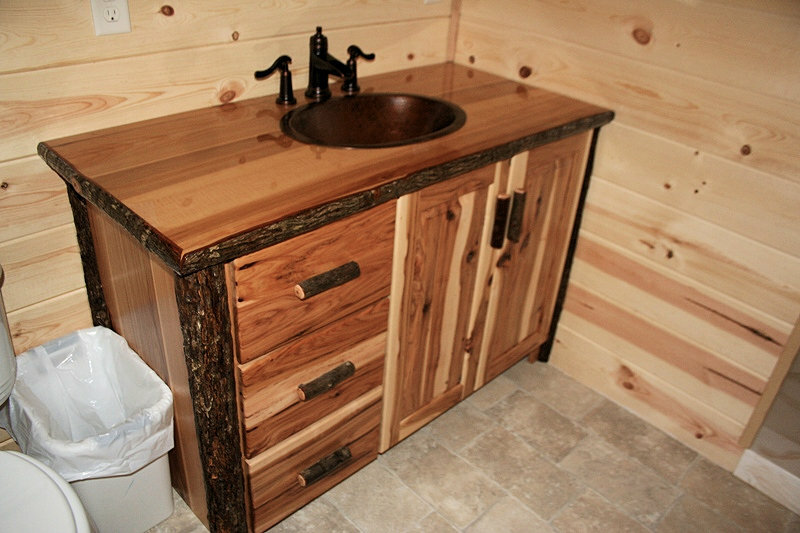 This vanity is made with rustic hickory wood and dark hickory barn on logs.